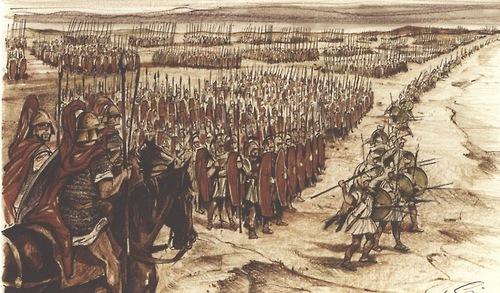 Battle of Cannae (216 B.C.) - The most famous battle of the Second Punic War and the one which placed Hannibal among the all-time great military leaders in history. Facing overwhelming odds on a battlefield with no defensive advantages, he managed to turn what should have been a total loss into an amazing victory. By feigning retreat, he lured the Roman army into a trap and completely enveloped it; slaughtering virtually every soldier to a man. This was the pinnacle of Hannibal's military career and brought him to within a whisk of victory in the entire war.